April 15, 2019, Coast Salish Territory/Vancouver, B.C. 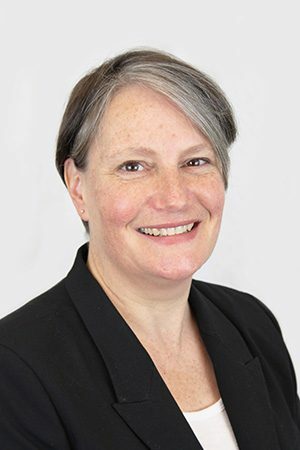 – The BC Co-operative Association (BCCA) is pleased to announce Andrea Harris as its new executive director. Harris is temporarily leaving her position with Vancity for a one-year secondment term to lead the Association. Harris has a strong background in the co-operative sector having worked as a co-op developer and academic and joins BCCA after spending 15 years at Vancity in various senior leadership roles including, most recently, as the credit union’s director of member and community insights. Harris will be working with BCCA employees, board, and members to advance core components of the BCCA’s Strategic Plan: “Charting a Sustainable Future.” Her one-year secondment is an example of both Vancity and BCCA living out Co-op Principle 6: Co-operation Among Co-operatives by working collaboratively to strengthen the co-operative sector and movement. The BC Co-operative Association (BCCA) represents co-ops and credit unions across B.C. and is a member services organization dedicated to fulfilling its mission of supporting co-operatives, educating the community, and advancing the co-operative sector. With nearly 700 co-ops in B.C. and more than 2 million members, the co-op sector employs more than 17,000 B.C. residents and generates $2.7 billion of the annual provincial GDP. BCCA is the knowledge and resource centre for co-ops in B.C., where co-ops and credit unions come together to collaborate, network, learn, receive support, and contribute knowledge to shape B.C.’s co-op movement. Tweet us @bc_coop and connect with us on Facebook.com/BC.CooperativeAssociation.